Our most highly anticipated model ever is finally available. 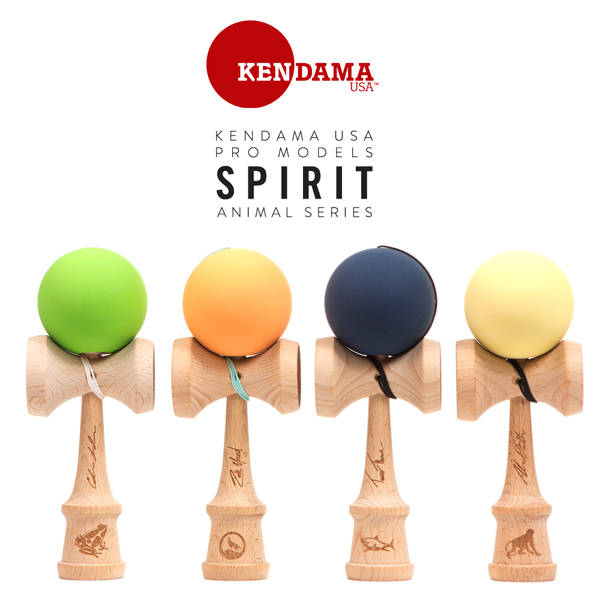 Each Pro has chosen his own unique color, and has his autograph and spirit animal engraved into the handle, so you know it’s a genuine Kendama USA product. These Pro’s have spent years innovating play, teaching, promoting, and giving back to the Kendama community. You’ll be glad to know that a portion of every sale goes directly to each pro, and helps them continue to progress and push the sport even further. Every 2013 Pro Model comes with a replacement string and bead set, instructions, and extra stickers. Please note the 2013 Pro Models may come strung left handed, but is quick and easy to re-string back and forth between right and left handed play.